My Next book – I Hope it isn’t Dead to You! Without planning to do so – I have created a “world” within Flagler Beach with a cast of characters enjoyed by many! Rest assured – that world is alive and well and will return in two future novels (Protect This! and Liquidated Damages – A Steve Salem Novel). In the meantime I’d like to talk to you about my next book. Unfinished Business (available in the summer of 2013) will be a slight departure from what you have come to expect. The idea for the story came to me when I attended the funeral of a close friend’s mother. The funeral director happened to be another friend of mine and I was fascinated by the way she handled herself in the performance of such an undesirable task. After the service I told her that if I could follow her around for a day I could easily come up with a book. I never did get the chance to follow her, but I thought about it constantly for several weeks. Lo and behold, an idea came to me. They all left this world with something unfinished. Their “To Do” list was cancelled before they got a chance to cross off that final item. This led me to thinking…what if—(I love those two words)—what if Meg was responsible for finishing that last item on their list? The more I pondered the idea, the more I liked it and the more potential I saw for a good story. Unfortunately my writing was delayed by the release of No Good Deed, Pump It Up and Backseat to Justice – so the book was not released in 2011 as I had originally planned. So here we are – a full year after I thought Unfinished Business would be out…and I have finally gotten back into it. I’m writing away full-steam-ahead and it is almost two-thirds complete. I anticipate the first draft to be finished before Christmas. 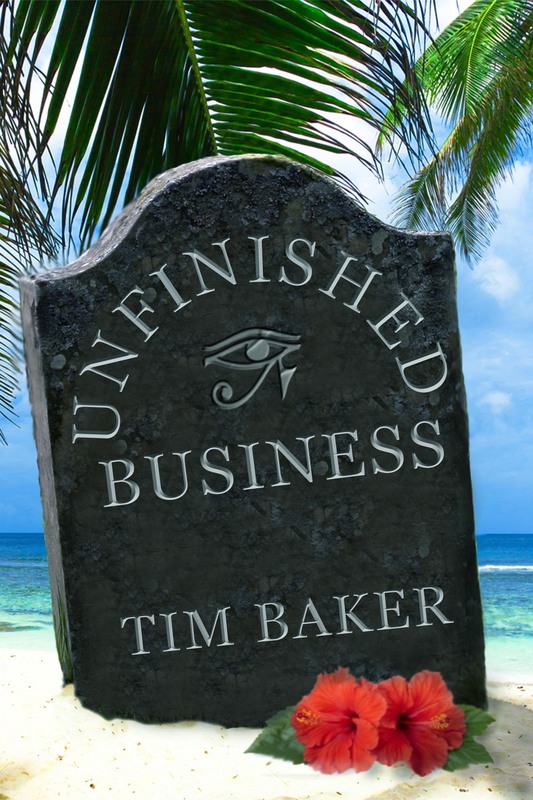 As I started to say earlier…Unfinished Business is different from my previous five novels. It’s a bit more serious (just a bit) and only has a brief cameo appearance by Ike and Ralph. It also deals with a somewhat “supernatural” topic. Because it’s so different I actually considered releasing it under a pen-name (I was thinking of Ty Prider), but I don’t think I will. If you don’t like it – then I’ll know it isn’t my niche…and if you do it gives me one more genre to explore. I hope you enjoy it, but either way you can rest assured that Ike, Brewski and the rest of the gang will be back to maintain order in Flagler Beach before you know it! The scheduled release date is June 30 – but there is a chance it may be available sooner.